The post CrowdSourcing of Large Knowledge Graphs appeared first on Semantic Web Company. The post Knowledge Graphs – Connecting the Dots in an Increasingly Complex World appeared first on Semantic Web Company. The post How Semantic Technologies Can Help Smart Cities Succeed appeared first on Semantic Web Company. With the UN predicting that more than 70 percent of the world’s population will live in urban areas by 2050, the development of sustainable smart cities is a rising need. Cities are now capable of collecting and analyzing enormous amounts of data to automate processes, improve service quality, and to make better decisions. This opens up several possibilities and at the same time challenges. How to transform this data into action? In this blog post, we will introduce you to the importance of digital infrastructure to public administrations at all levels. You will gain the semantic technologies’ perspective to solve current and upcoming challenges for data management. Two use cases from Australian public organizations will inspire you to think of semantics and artificial intelligence as a suitable solution to succeed as Smart City. Register for the upcoming webinar on the 19th of June at 3 PM Central European Time and learn from the experts. When discussing digitization, people commonly think about sensors, broadband networks, and data centers as being the infrastructure. Access to technology is a key parameter for the dynamic and municipality’s sustainable development. However, IT hardware makes only half of the plot of the story. A community’s competence of providing access to comprehensive information repositories as a commodity is increasingly enabling enhancing societal living conditions. Data are driving lifestyle, business and administration, so information access is crucial for enterprises, small businesses, citizens, and the municipalities themselves. To achieve this, context and sense-making of data have to be added to digital infrastructure. Reflecting this to traditional patterns, digital roads need junctions, road signs, and semaphores to function, just like their physical counterparts. The existing use of social networks and the increasing use of intelligent agents will as well raise the question of how to co-exist in a hybrid world. Human-machine interfaces have to be developed that fulfill security, productivity, but also transparency, privacy and sociability needs of society. There are several challenges smart cities face, but from a data perspective, the main is how to break up data silos and how to connect data sources spread across agencies, departments, and third-party providers to create actionable knowledge. Semantic web technologies solve these two challenges with a standards-based approach that has been widely implemented throughout the World Wide Web and in several enterprise use cases. A semantic layer on top of your content provides endless possibilities to develop smart city applications within a robust information architecture. Integration harmonizes data and metadata as a Knowledge Graph, which makes content from disparate systems easily accessible. This facilitates nouvelle approaches to quality assurance and trust of information. A semantic information architecture provides along quality, also context and meaning to your data based on controlled vocabularies. In fact, the context extracted from your content and the meaning obtained from words is what makes semantic applications smart and actionable. Within this framework, it is reasonable to assume that in a smart city, most city functions could benefit from data that gives them the potential to be more efficient, responsive, and effective. The abundance of digital information together with today’s algorithms and powerful computers took AI to the next level. Artificial Intelligence can reveal new insights from your data, something that was not possible before. Every AI strategy relies on data quality to provide accurate outputs. Semantic technologies support any AI initiative with a robust information architecture that increases data quality along the entire data lifecycle. This synergetic relation is what we call Semantic AI. A semantic knowledge graph is used at the heart of a semantic enhanced AI architecture, which provides means for a more automated data quality management. Semantic AI is the perfect companion when smart cities want to connect people and data. We will demonstrate this with one application scenario and two related use cases. Government information is subject to digitization thanks to the internet, the development of digital technology and modern lifestyle that demands more public services available online. Digital Government Data is driving economic growth, competitiveness, innovation, job creation and societal progress in general. So far we know that making digital data useable for public and social services in an efficient and transparent manner improves city’s smart governance. But how to promote the re-use of digital public data to strengthen democracy and public welfare? We will demonstrate how semantic technologies in general and, Semantic AI in particular, helped two Australian public organizations to provide better services based on their digital assets. The research sector in Australia has over one hundred research organizations, government agencies, and cultural institutions. To success in the discovery, linking, understanding, and reuse of their research data, ANDS agreed on controlled vocabularies reflected in a semantic knowledge graph. Australian research organizations have now free access to the vocabularies, can create an own machine-readable vocabulary and reuse them inside their community. At the same time, ANDS created a web portal to find data for research that is publicly accessible online. Healthdirect is a free service supported by the government of Australia. It provides free health advice based on content from over 140 specialized information providers. Built upon a publicly available thesaurus, they enhanced their semantic knowledge graph by extracting entities from all available content repositories. The final result is a web portal for end-users. Now citizens of a vast territory like Australia don’t need to drive far to get medical services. With the smart symptom checker, most often search queries receive a professional and trustworthy answer. Only when we follow the approach of integration and the use of a semantic layer to glue together all the different types and models – thereby linking heterogeneous information and data from several sources to solve the data variety problem – are we able to develop interoperable and sustainable information models. The presented initiatives and applications are based on a mature and forward-looking approach, based on open standards. Grown up to productivity stage, these examples still only give us a small glimpse o what will be possible in the future. Such model can not only be used inside one city or municipality – but it should also be used to interlink and exchange data and information between cities as well as between provinces, regions, countries and societal digitalization transformation. The post Integrating your Drupal CMS with an Out-of-the-Box Semantic Technology Suite appeared first on Semantic Web Company. Drupal is one of the favourite enterprise content management systems. Especially government and non-governmental organizations embrace this open source platform to build advanced digital experiences. Over the last years, we have been developing several PoolParty semantic technology features and modules that integrate natively into Drupal. In this blog post, I introduce you to the semantic technology capabilities that will enhance your digital products and services. Learn all about the PoolParty features for Drupal and how to get started. And this is precisely where semantic technologies can bring the most. They are a long-term and future-proof solution to improve both your website’s front- and back-end with powerful information and knowledge management capabilities. In the front-end, you will be able to offer personalized and highly dynamic content to your users. 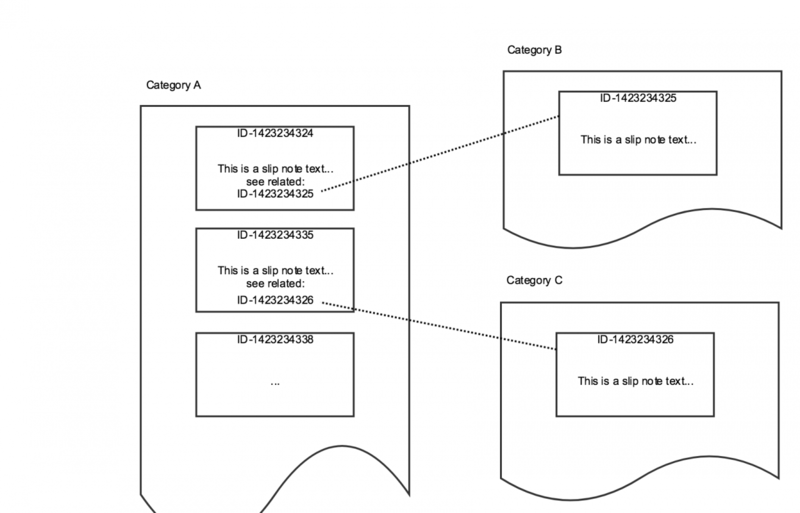 By annotating your content semantically, you are connecting concepts and thus automatically adding context and meaning to it. 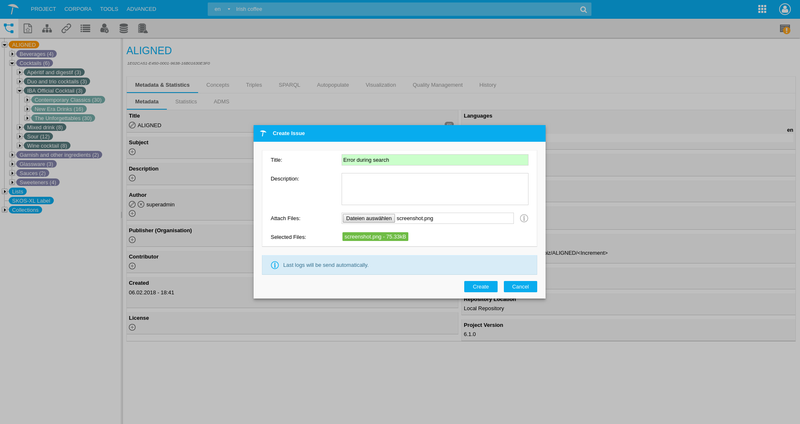 In the back-end, you will support content managers with superior collaborative workflows and findability of all internal and external resources for further reuse. The solution was to annotate their content semantically and to improve search functionalities. Drupal taxonomy editor tool could be an option but is quite rudimentary and will not allow you to manage your metadata semantically in a proper way. To achieve consistent semantic metadata, you need to develop a knowledge graph and embed it in your Drupal CMS. A knowledge graph is a central knowledge management model worked throughout the whole organization (or a part of an organization) with the special participation of subject matter experts. It is an agreement upon a common vocabulary that designates all relevant domains and topics inside the organization. Even more, it allows the organization to use knowledge in several languages, to define synonyms, relations, and hierarchies. The following graph explains how our customer improved content annotation and consequently their search portal with PoolParty Semantic Suite. First of all, our customer built a knowledge graph. You can create your knowledge graph with the PoolParty feature for Drupal named PoolParty Taxonomy Manager. The Taxonomy Manager is very user-friendly and can be used by several domain experts in a very intuitive way. By having a knowledge graph in place, you can make use of the next future for Drupal. Supported by the PoolParty Extractor – which accesses the knowledge graph to annotate the content – PoolParty PowerTagging module for Drupal find the proper tags and add it automatically to your content. PowerTagging considers the concepts you defined in your taxonomy to tag your content and goes way beyond by considering synonyms, frequency, and even context. As a next step, your content professional can check the tags and adjust them if necessary. Furthermore, the knowledge graph will learn from your new content and suggest extensions for the thesaurus. 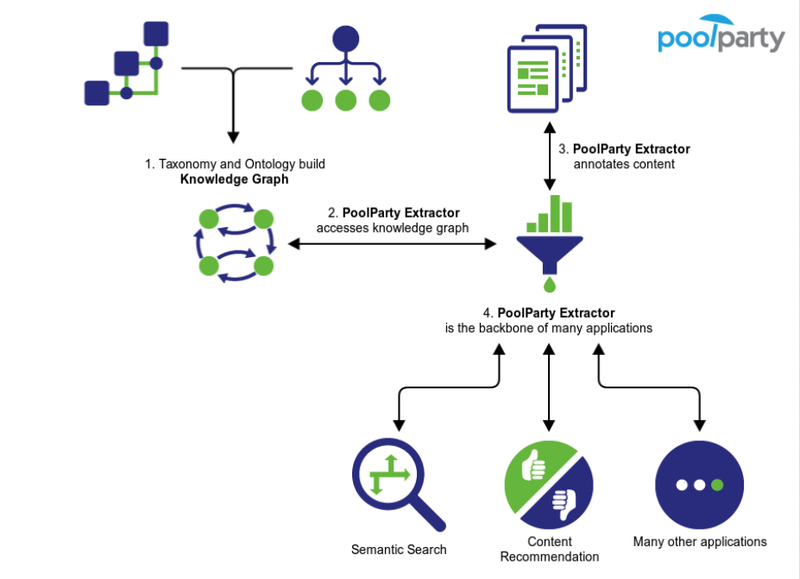 Finally, our customer applied PoolParty GraphSearch (a front-end application for search and analytics operations) to build their search portal that offers a faceted semantic search and a similarity algorithm. For more in detail information, please check out this presentation. Our customer annotated approx. 15.000 documents with PoolParty. 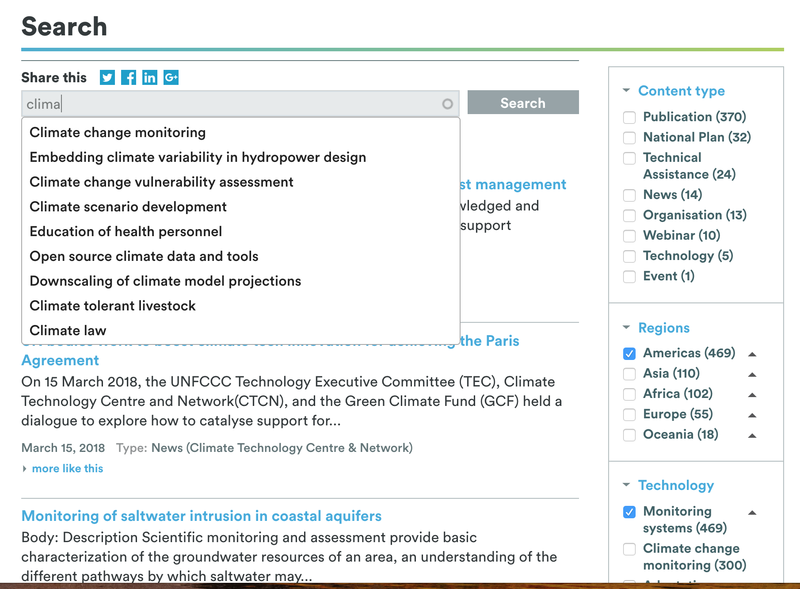 As a result, they offer a semantic search portal that let users drill down facets defined in the knowledge graph such as content type, regions, and technology (look on the right-hand side of the image below). Faceted search improves navigation friendliness and increases customer satisfaction, as they can find what they are looking for in few steps. The application suggests similar content (more like this) and offers an autocomplete search field (see the image below. By typing “clima” on the search field I get several related suggestions). They also developed an internal collaboration environment to manage internal assistance requests and help the day to day work of the organization’s team. Metadata management, also known as content annotation or just tagging, is crucial for creating added value from your content assets. If you are acquainted with content management systems, you will recognize the limitations of their tagging tools. PoolParty Semantic Technology Suite widely supports out-of-the-box solutions for third-party systems like Drupal. 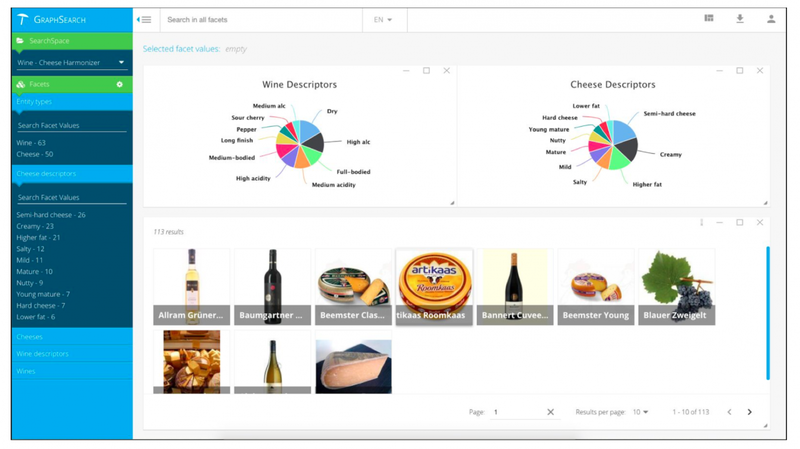 You can take advantage of several application scenarios like semantic search, content recommendation, and smart glossary. Semantic technologies have been in the market for enterprise solutions for the last 15 years and are a proven and standards-based technology. Companies benefit from semantic technologies in the fields of information management and governance, content management, semantic search, business intelligence, analytics, data integration, artificial intelligence and cognitive computing. 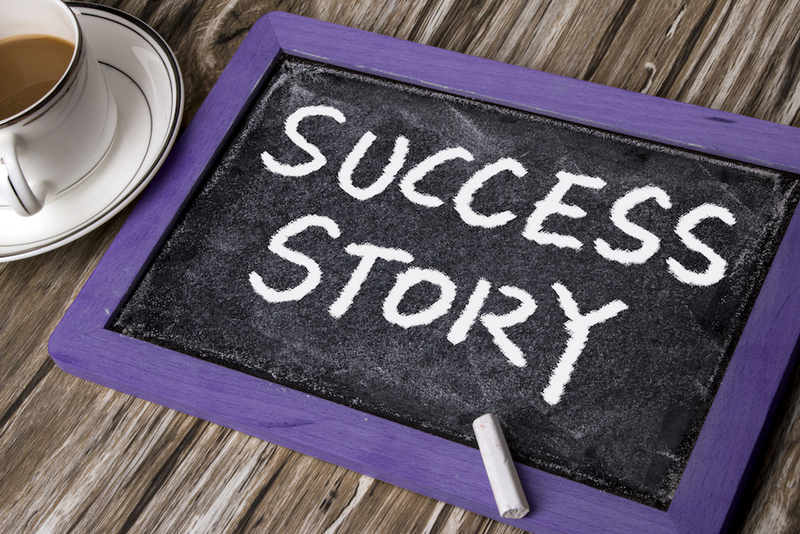 Are you ready to initiate your semantics journey for better customer experiences? If so, check out our demo application. The post Data wrangling with OpenRefine, PoolParty and SPARQL — Enabling multi-language thesaurus in PoolParty appeared first on Semantic Web Company. In our recent endeavor to import in PoolParty the Google Product taxonomy in different languages, we encountered some challenges that needed to be addressed. The first challenge was that the Google Product taxonomy is in Excel (XLS) format, and for each language there is a separate file. The second challenge is on how to align and merge the data rows coming from different languages, i.e., how can we be sure that two entities in different languages (respectively different files) mean the very same thing. We did this exercise for two languages (English and German), but inductively the same methodology can be applied for arbitrary number of languages (here are links for Italian and French to name a few). Google Product Taxonomy is a taxonomy used by Google in categorizing products, for the purpose of ensuring that a certain advertisement is shown with the right search results. The taxonomy in Excel format (see the figure below) is organized in columns, where each column based on the order corresponds to a depth level in the taxonomy, so the first column corresponds to the highest level in the taxonomy — in SKOS that corresponds to a concept scheme; the second column corresponds to the second-highest level in the taxonomy — in SKOS that is a top concept; and the other columns represent concepts and their respective narrower concepts and so it goes on. As PoolParty supports XLS import, in order to import it, we had to slightly adjust the Google Product Taxonomy XLS file. For this we used OpenRefine (formerly known as Google Refine), a powerful data wrangling tool. 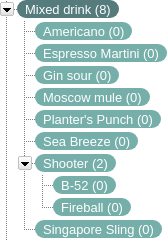 The Excel data from Google Product Taxonomy was almost perfect to be imported in PoolParty, with a single caveat, the duplicates — as can be seen in the following figure — have to be removed. One can see that whenever a new level in the taxonomy is introduced using a new column data, the previous column data records are duplicated. In PoolParty one needs to remove such recurring cell values, but keep only the top-most value for each different concept. Also, one has to rename the columns such that the first column is called “scheme”, the second “concept”, likewise the third “concept” and so on. 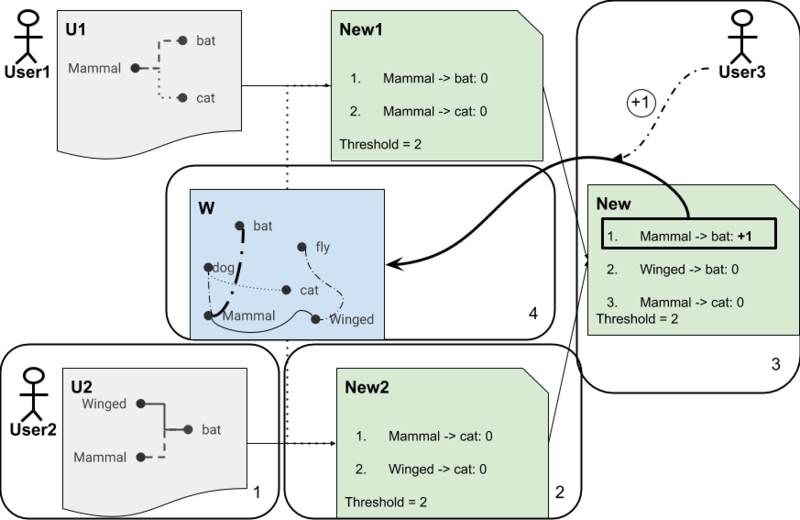 Thus, it has to look like the following figure (note: OpenRefine internally renames columns with the same name in order to distinguish them visually, thus introduced concept2, concept3,…). One can see that all duplicates under “Animals & Pet Supplies” are removed, same it is done with the column “Live Animals” and “Pet Supplies” and so on. This transformation was done using OpenRefine’s “blank down” feature, by just going through each column and selecting Edit Cells -> Blank down. As result, all the duplicates are removed as in the previous figure, and data is ready to be imported in PoolParty. The same procedure is done for the German version as well. As mentioned earlier, PoolParty supports the feature to import XLS data. It also supports export to RDF feature that allows one to choose from a range of export options with the ultimate aim of providing you a means to avoid data lock-in. Export to XLS is also possible. Once the data are imported they are internally stored in RDF format. Using RDF format is much easier to do data integration, where each resource is assigned an unique URI. For both English and German the corresponding XLS files are imported to PoolParty. Import Assistant in PoolParty gives us a green light, suggesting that all the SKOS constraints are satisfied. Once we have import them, for each language, we export data as RDF, so that we can do the merging. Both RDF data belonging to the English and German version of the Google Product Taxonomy, were imported to a dedicated triple store. Now, the question is how to align the RDF data consisting of statements in different languages? One, for instance, could think of doing a “string matching” by using machine translation beforehand for non-English languages, but as we know the precision is not always 100% correct. Luckily for us, in each of the XLS files, there is a “notation” column, such that each row has a corresponding “identifier”. This is translated to skos:notation when imported to PoolParty. Now we are sure which row in English corresponds to the German based on the notation, this is because they coincide. Notation columns for both English and German, serve us as identifiers. In the case of RDF, we align the data on skos:notation identifiers, and for this we use a SPARQL query. ?s1 skos:notation ?o1 . ?s1 skos:prefLabel ?label1 . ?s2 skos:notation ?o2 . ?s2 skos:prefLabel ?label2 . The query checks for all different subjects that have the same notation, and for each result, inserts the corresponding label. Now, in the graph we have concepts that have skos:prefLabel for both English and German. The resulting RDF graph data was imported to PoolParty, where now for each concept we have both labels in English and German. In the following figure, one can see this under Preferred Label. Note that in SKOS one can have multiple preferred labels, as long as they are in different languages. Google Product Taxonomy, both in English and German imported in PoolParty. We could have done this exercise without using OpenRefine, but then we would have done a manual work on the 5426 rows, going through each column and removing the duplicates. For large files, the approach using OpenRefine is indispensable and too many times saved us a lot of precious time. Same can be said for SPARQL, we automated the merge of the data by using a simple SPARQL query instead of doing that work manually. As conclusion, we can claim that data wrangling with OpenRefine, PoolParty and SPARQL proved to be a huge time saver, just imagine if you have to do this exercise for n different languages. The post Streamline your Software and Data Engineering Process with Semantic Technologies appeared first on Semantic Web Company. The post Information Management Survey 2018: Knowledge Engineering at the Core of Cognitive Applications appeared first on Semantic Web Company. 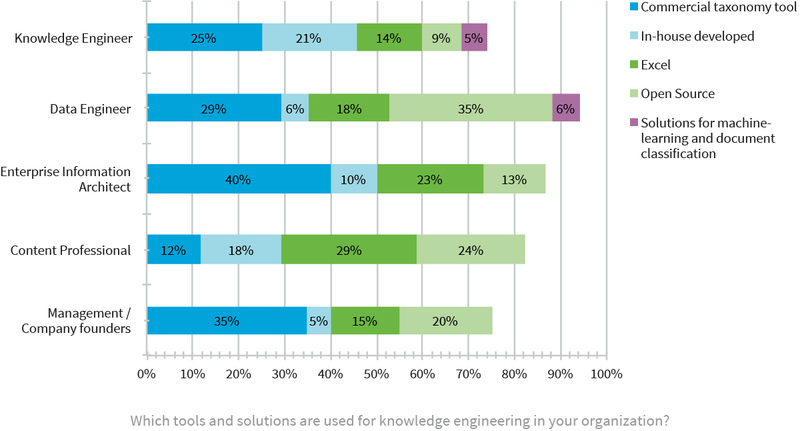 The Semantic Web Company, Mekon and Enterprise Knowledge conducted an Information Management Survey for practitioners that provides new insights into the current status of this highly diverse technology field. 187 data and content professionals participated worldwide. Let us share the three key findings in this article and encourage you to download the full report. Knowledge engineering is an integral part of the development process of cognitive applications. 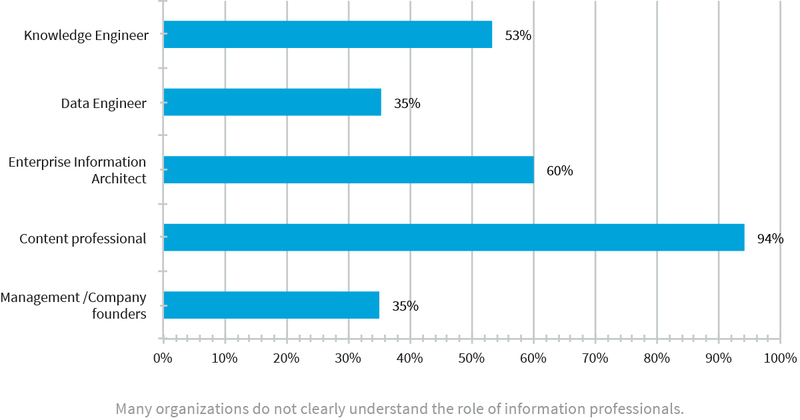 67% of information professionals agree that the demand for their expertise is rising. At the same time, every second knowledge engineer thinks that organizations don’t understand their role and potential contribution. A better alignment of the business and technology side is needed to fulfil the high expectations in regards to smart applications. The survey report also highlights how information management is embedded in organizations and which tools are used to build and maintain cognitive applications. The maturity degree of an organization is definitely reflected by its usage of professional semantic metadata management solutions and the inclusion of complementary technologies. Depending on the professional role, technologies are of different relevance. Machine Learning is for all data and content professionals at the forefront of technological innovations. However, it needs to be differentiated who is working with it and who has an opinion about it. 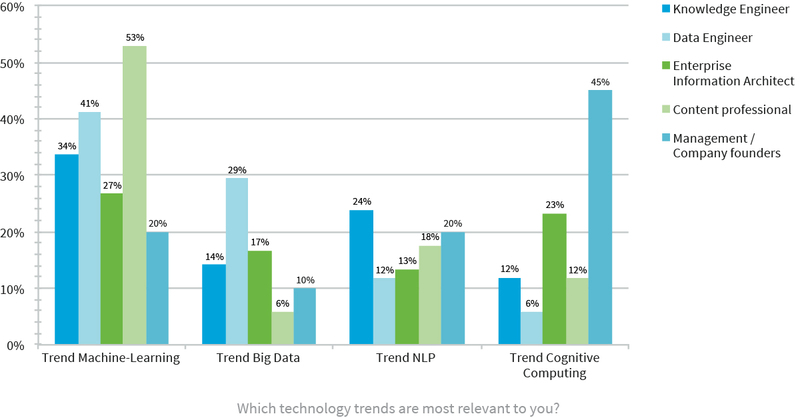 The Top Management declares Cognitive Computing as leading technology trend. For them, it’s not about a sub-set of technologies, but a robust platform that enables companies to build cognitive applications. The post Why Semantic Technologies Are Steering Cognitive Applications appeared first on Semantic Web Company. Despite the rising popularity of data-driven technologies, studies show that nowadays less than 10% of data is used effectively by organizations. Over 40% of companies are struggling to find talent to implement Big Data solutions. However, by 2020 company’s success will largely depend on their ability to create digitally enhanced customer experience solutions. Cognitive applications are revolutionizing the faculty of enterprises to grow and compete. Solutions like chatbots for customer advice and assistance in retail, knowledge discovery tools for medical diagnostics and treatment, predictive analytics solutions for industrial equipment or recommendation systems for fraud detection and prevention in financial services are becoming increasingly more productive. Nevertheless, cognitive applications have challenges that semantic technologies are helping to overcome. Working with semantic technologies is a qualitatively driven way to enhance smart applications. Cognitive applications are being applied to a wide variety of uses and across various industries. Based on statistical and rule-based methods, they are excellent to process a large volume of information. But many companies are battling with the imprecise results this technology delivers. Complex algorithms to simulate how the human brain works lead data scientists to a bottleneck for taking cognitive computing to the next level. Semantic technologies enable companies to uncover untapped business potential and to point the way to efficiency gains. Semantic technologies have knowledge graphs at the core of their solution approach. Knowledge graphs organize information using interrelated concepts like a human brain would do. In other words, resemble the human brain’s architecture allowing domain experts and business users to perform data modeling. Cognitive systems can be built on statistical models or knowledge bases – or on a hybrid of these. Semantic Web Company recommends the last option. The use of knowledge graphs together with statistical models provide the end user with the option to independently modify the functioning of smart applications. Therefore, it comes more natural and user-friendly for human users and at the same time allows dynamic data management with precise results that naturally grow and learn over the time. The post A Standard to build Knowledge Graphs: 12 Facts about SKOS appeared first on Semantic Web Company.